“The yard” is about a group that tells the life and the happenings of an HBCU college and how the ups and downs affect the students, the teachers, the staff and the entire college community. 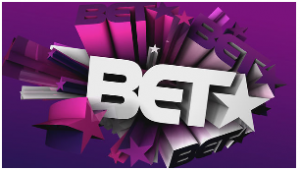 The Yard by BET is now looking for college students to cast them in the movie which is to be filmed in Atlanta, Georgia. The production house for ‘The Yard’, CAB casting is looking for talented models and actors for a scene which is to be filmed in Atlanta. This is an opportunity for background actors to play parents and college students in the upcoming episode. This is going to be a paid job so this is only open to people who are older than 18 years of age. WE will select you on the basis of the picture you send us, so please make sure you send in your best pictures to maximize your chances. Make sure that the photos you send with your email are of good quality and appropriate for the role. For this, you will be given the standard rate of $64 for 8 hours. You will be given the payment in the form of a check in your mail box after the job is over. For overtime, you will have be given an extra $32 for compensation. Do you have any past stand in experience? In addition, you should also attach 2 recent photographs of yourself – one headshot and one full body shot. Please name your photo file with your full name. Please only submit if you are available and can make time for the filming. Please also ensure that the details you have given in are correct and complete. Incomplete entries will not be considered. If we are interested in casting you, we will give you a call. We currently need lots of people, so apply as soon as possible.